April 15-17 is our district’s AdvancED external team visit for accreditation. This is our time to shine and celebrate our wonderful school district. If you would like to learn more about AdvancED please visit this website: http://www.advanc-ed.org/about-us. 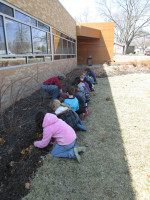 There is also information posted on our school website under “School Improvement.” Take a look! It’s a great day to be a PIONEER! This entry was posted in Uncategorized on March 23, 2015 by Jennifer Gepson. This entry was posted in Uncategorized on March 22, 2015 by Nick Wemhoff. 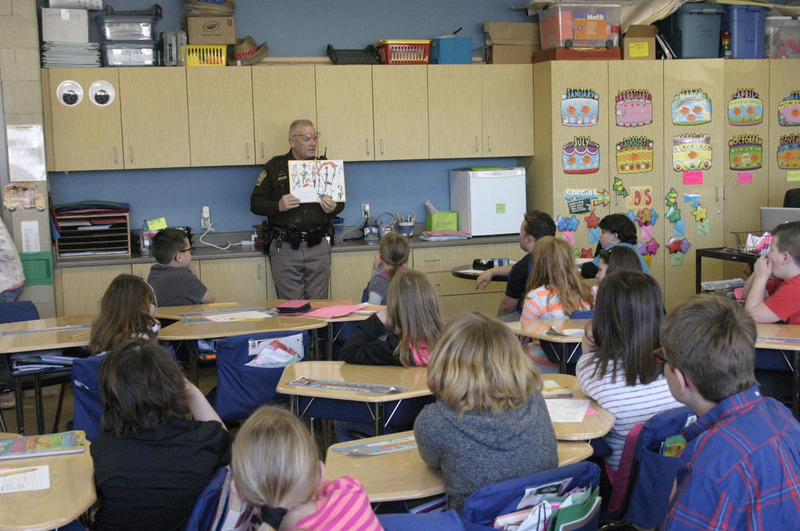 March is Reading month at Fort Calhoun Elementary School!!! ​PFE’s One School One Book Family to School literacy campaign is coming!!! Order forms have been sent home for families to purchase a copy of this year’s book choice~ LUNCH MONEY, by Andrew Clements. Books are only 3.00 as PFE is paying 1.50 towards each book purchased. Orders are due March 2nd. Books, activities and reading schedule will be sent home Monday March 16th after a school -wide kick off assembly! Families will read the book together, partake in fun-filled extension activities, and conversations about this great book! 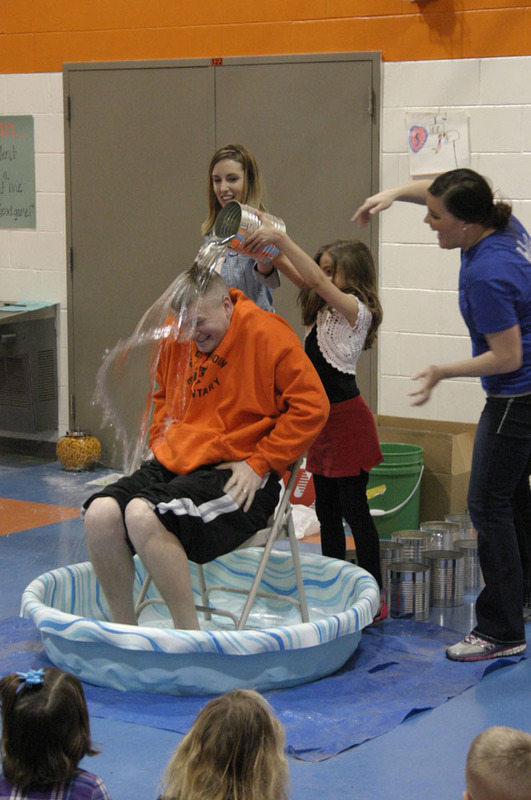 The culmination of this event and book will be the PFE carnival held on Friday, April 17th. A family that reads together, plays together!! Won’t you join in the fun??? This entry was posted in Uncategorized on March 21, 2015 by Jennifer Gepson. 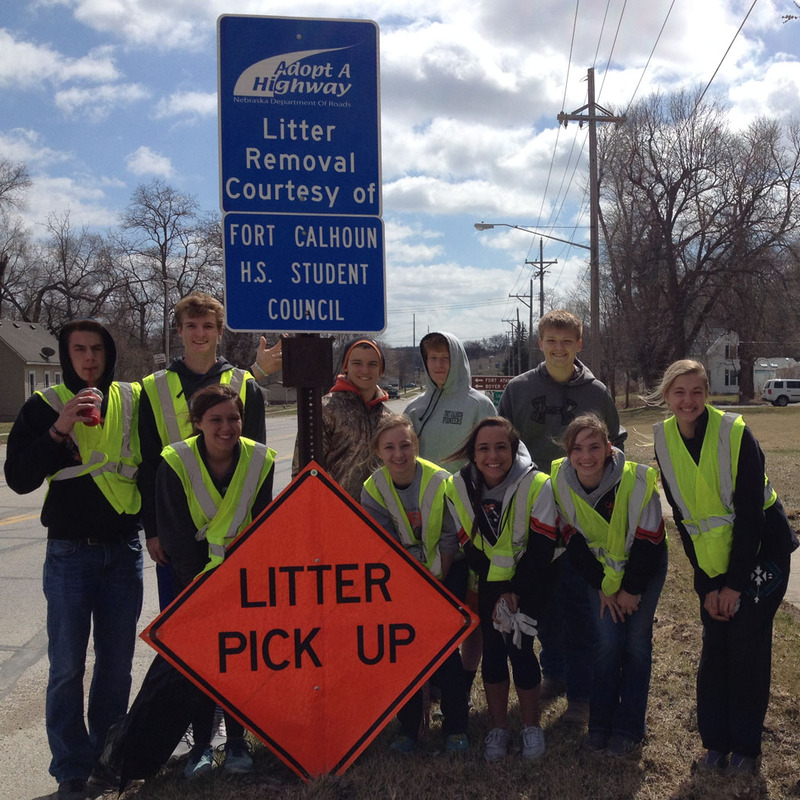 The Fort Calhoun High School Student Council picked up trash on Sunday, March 29 on Highway 75 south of Fort Calhoun. 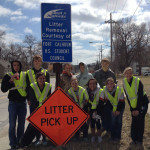 Pictured are, l-r, Tyler Pace, Peyton Griesert, Abby Hillmer, Bret Klabunde, Montana Cottle, Ben Namuth, Hailey Hansen, Wylie Oliver, McKenzie Cottle, and Amanda Hansen. This entry was posted in Uncategorized on March 20, 2015 by Jennifer Gepson. 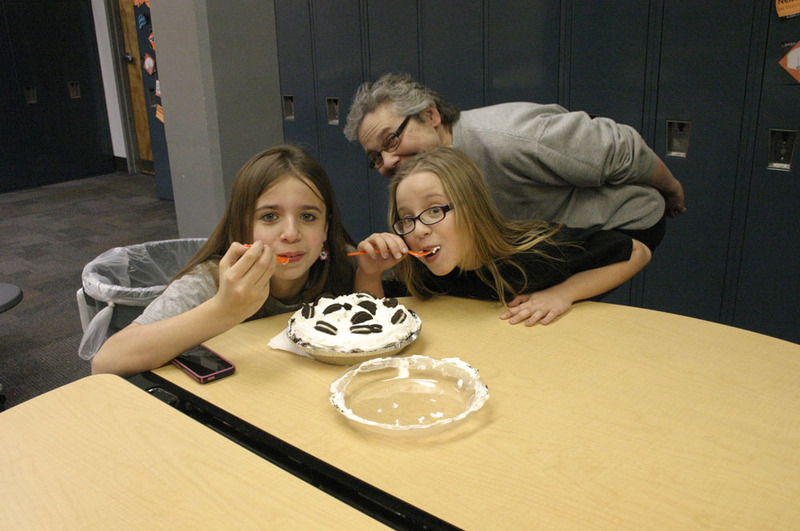 The Pi Day fundraiser held at Fort Calhoun High School on March 14th was a success. 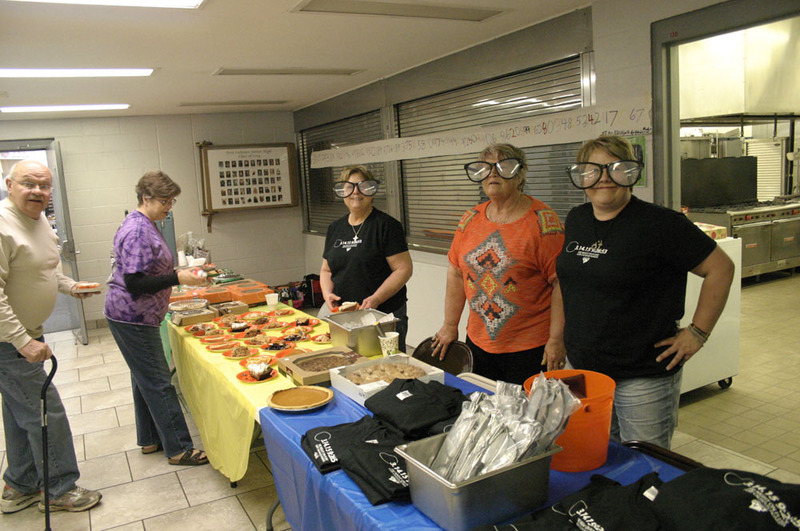 The event raised over $1100 for the Math and Science Departments to use for post-school renovation equipment. 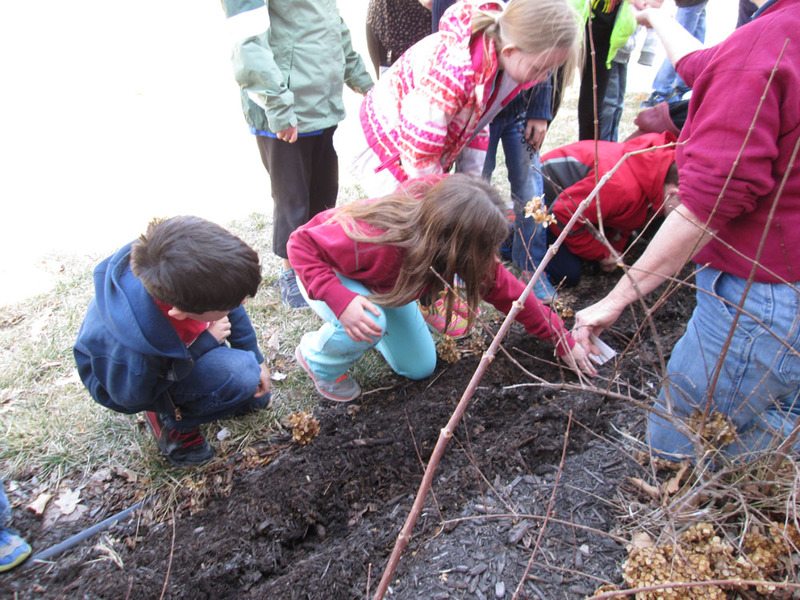 Thank you to Melissa Ruge for organizing this event and all the volunteers who came out to help her. Also, we would like to thank ConAgra and the Oriental Trading Co. for their donations. 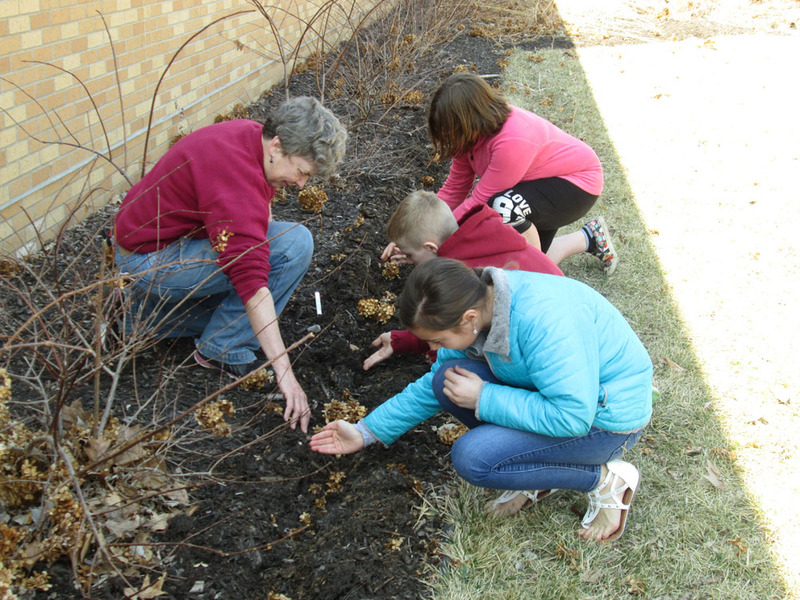 Students at Fort Calhoun Elementary had the opportunity, on Monday March 23rd, to plant a few flower seeds including Crimson Sunflower, Poppy seeds, and Coreopsis with Judy Siever on March 23rd. They learned a few facts about seed germination while helping to beautify our school. 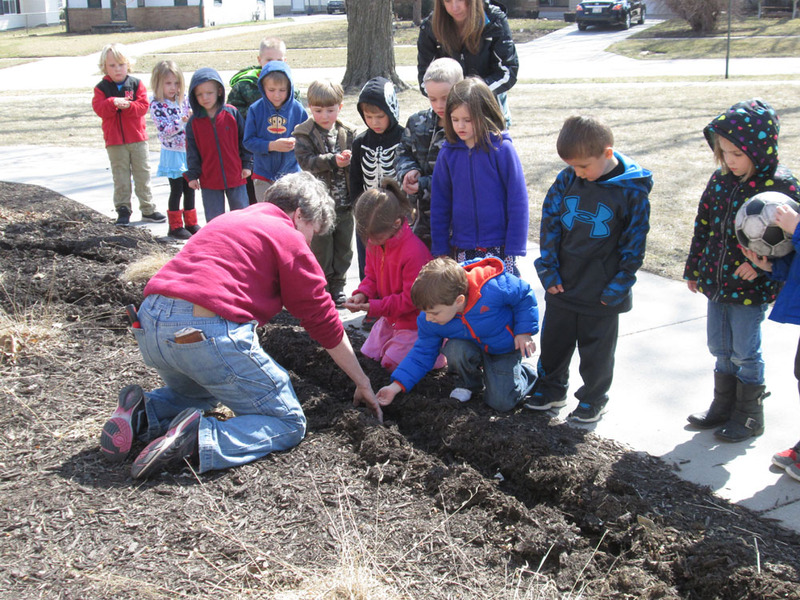 Thank you Judy for helping our students with this fun project. 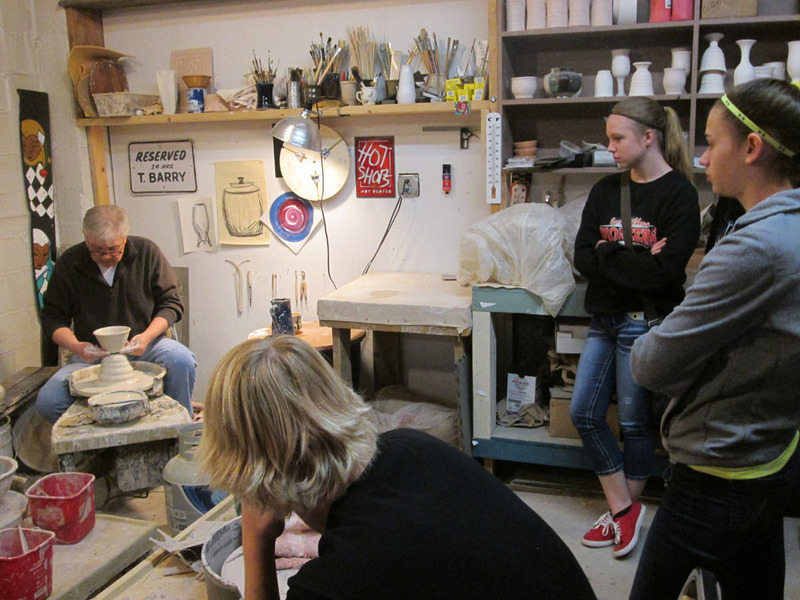 On Wednesday, March 18th, upper level art students attended a field trip to Hot Shops Art Center and the Omaha Public School Teacher Administrative Center building. 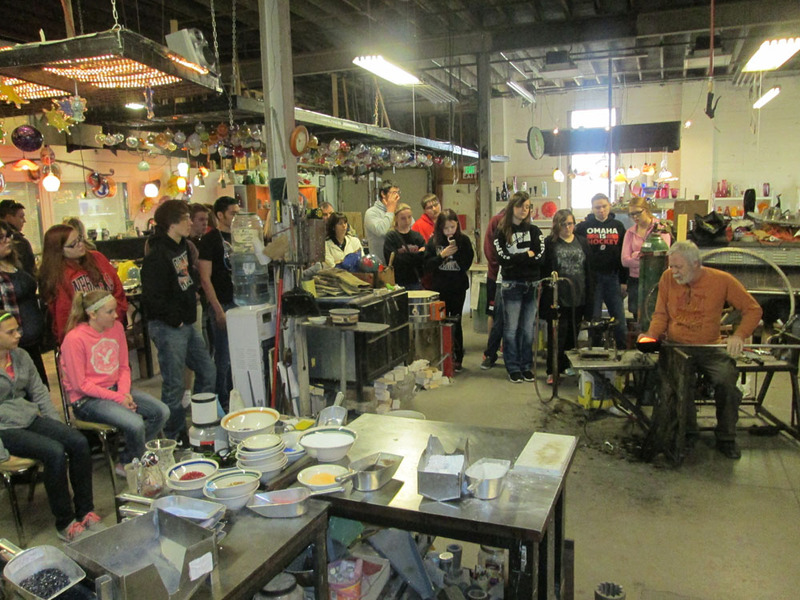 Hot Shops Art Center is located in the NODO area of Omaha. Hot Shops is an old Serta mattress factory that was converted to artist studios and galleries in 1999. 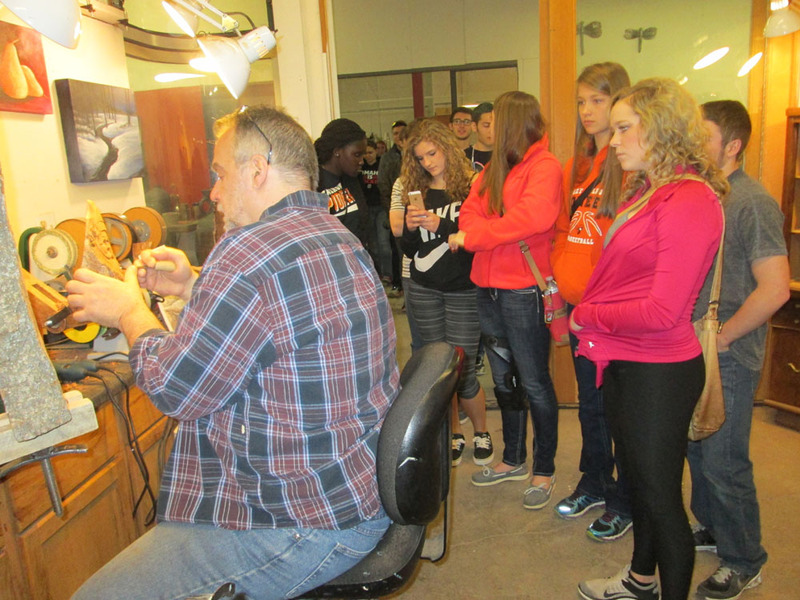 Manager Tim Barry gave students a tour of the facility, and they had an opportunity to see demonstrations in both ceramics and glass blowing. 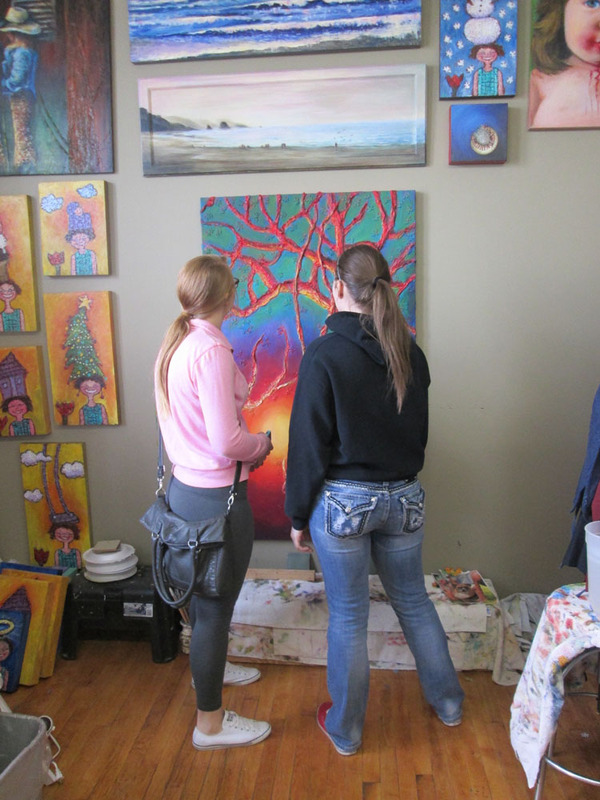 They saw inside a few art studios, many professional works on display in hallways, and pieces done by local high school students, which were on display in one of the large galleries. 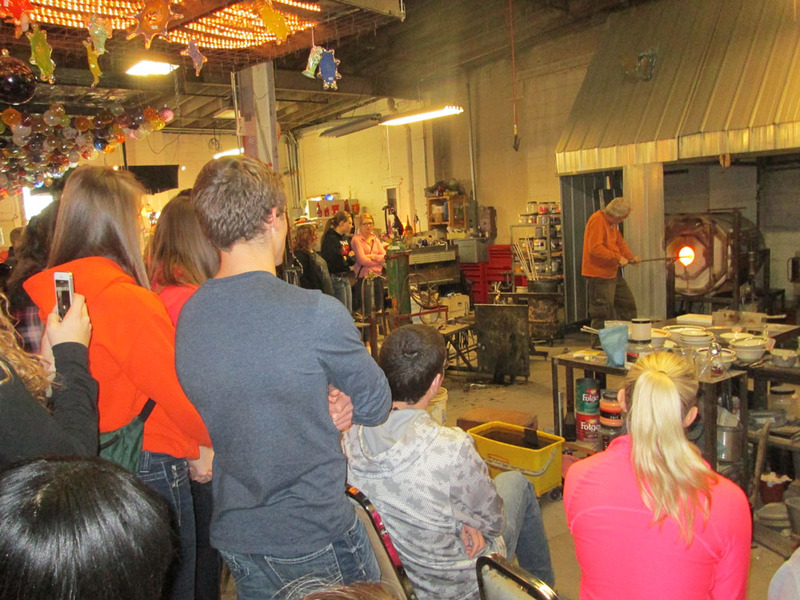 Twice a year, Hot Shops holds an open house where anyone is invited to tour the facility, see demonstrations, and purchase works or pay for services provided by some of Omaha’s amazingly talented artists. 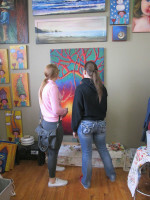 Each year the open house events are held the first weekends of December and May. 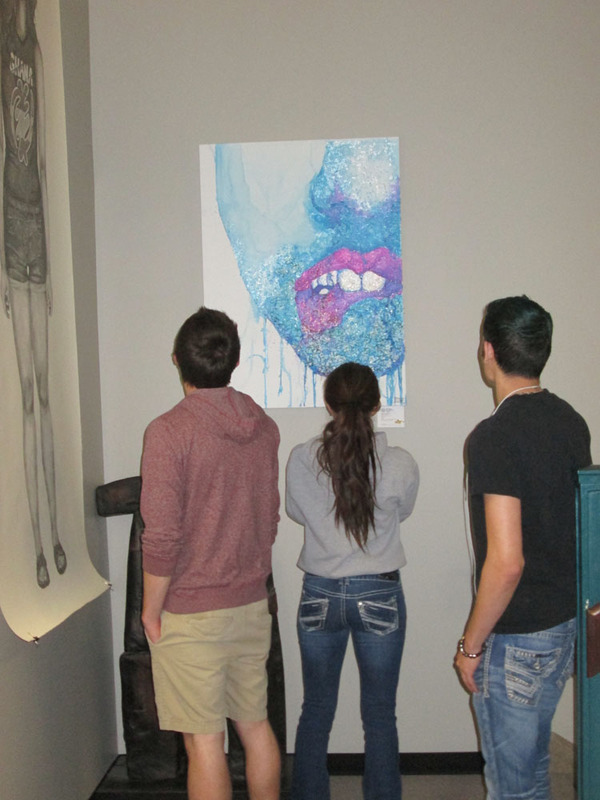 The students also viewed artwork on display at the OPS TAC building. 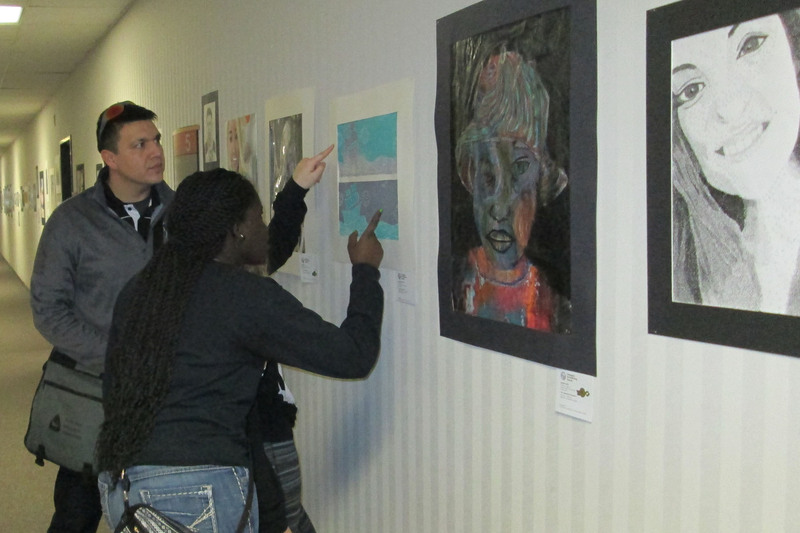 The works on display are winners in this year’s Scholastic Art Competition. Fort Calhoun has one student, Senior Heather Remm, whose work is on display. Remm received honorable mention for her portfolio submission. 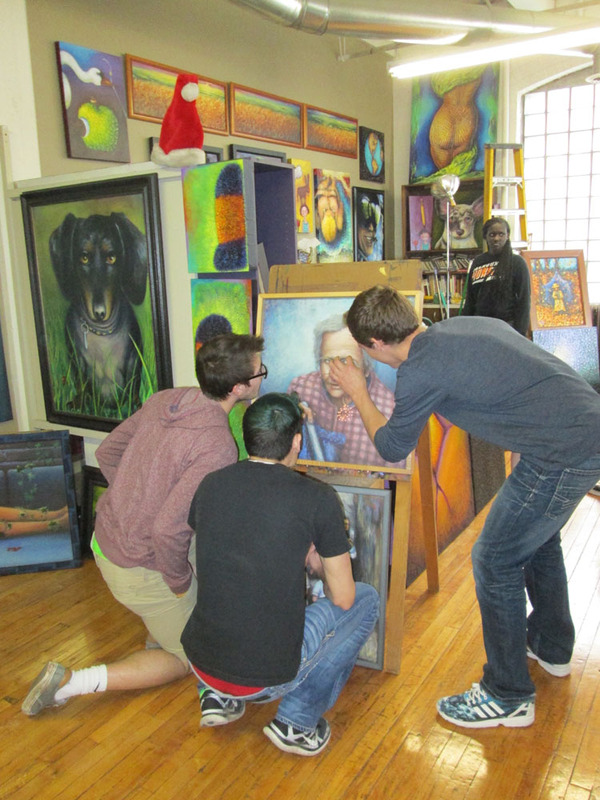 The works are on display through March 31, 2015. This entry was posted in Uncategorized on March 19, 2015 by Jennifer Gepson. 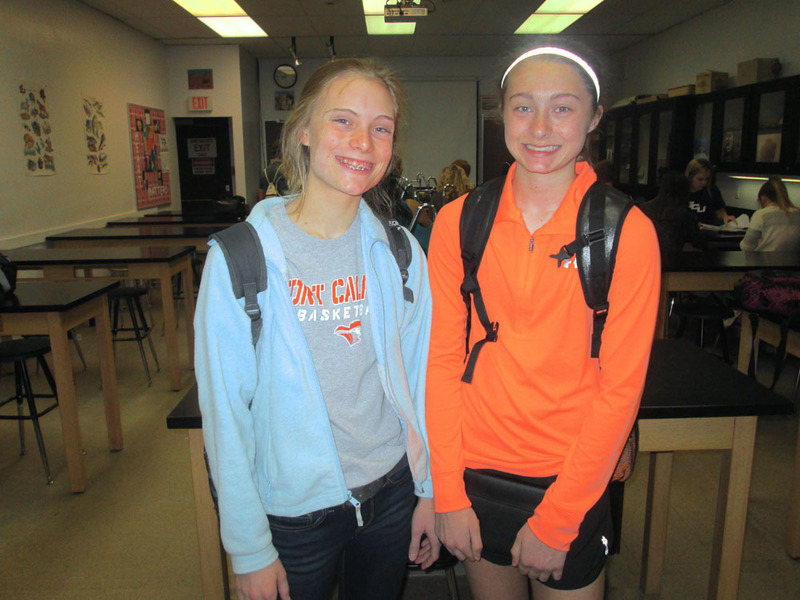 Congratulations to our 2015 Science Fair winners. 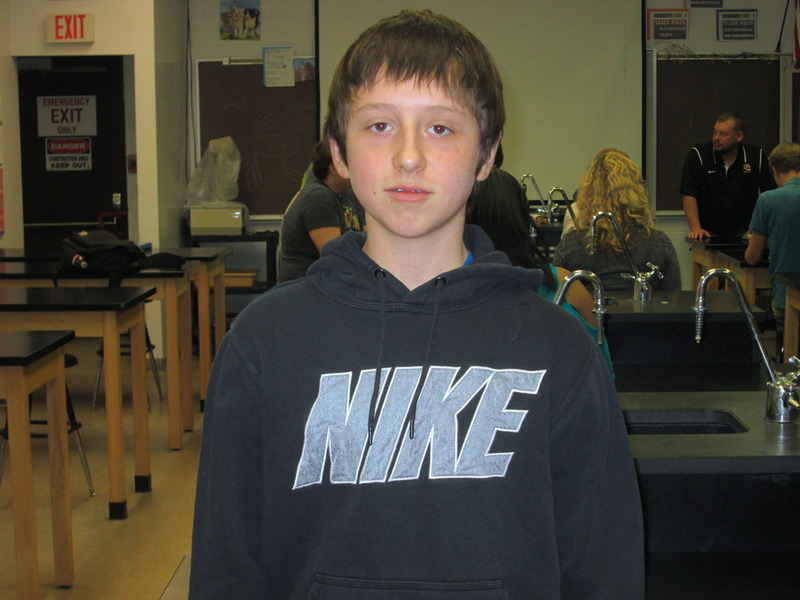 3rd Easton Fritz – What lubricant is best? 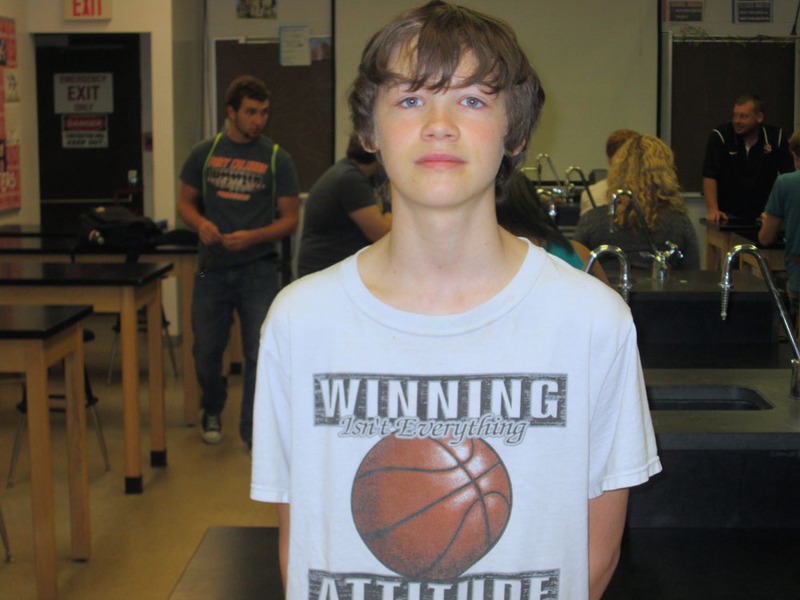 2nd John Wiese – How does PH effect plant growth? 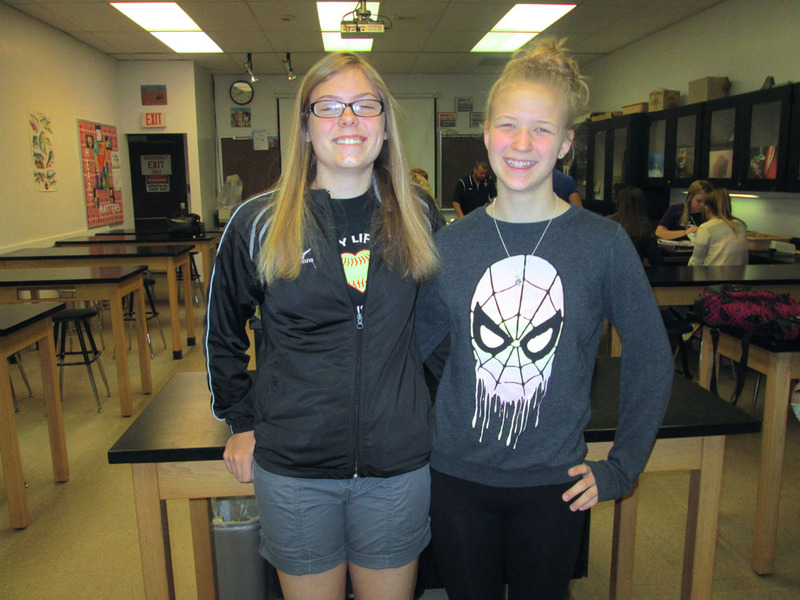 1st Julie Klemm and Taya Skelton – What’s Cracking? 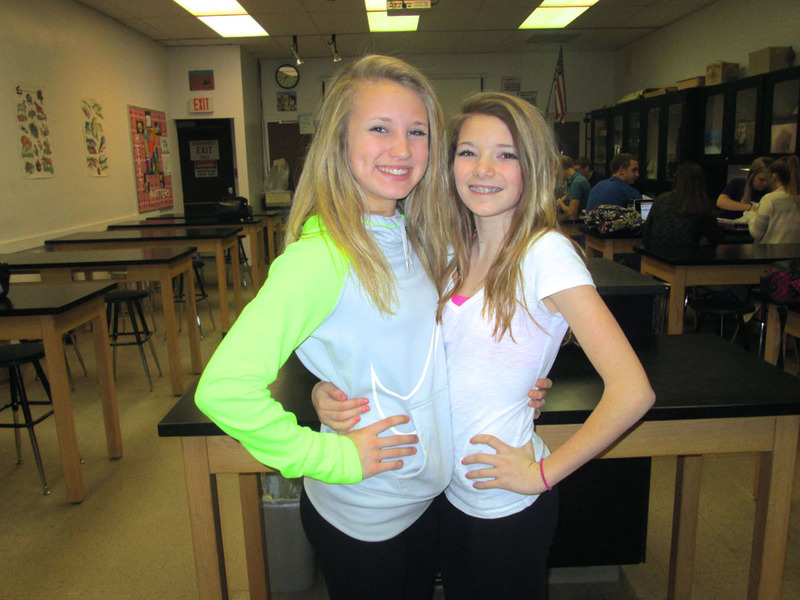 3rd Hannah Warner and Abi Nelson – How does color affect heating by absorption of light? 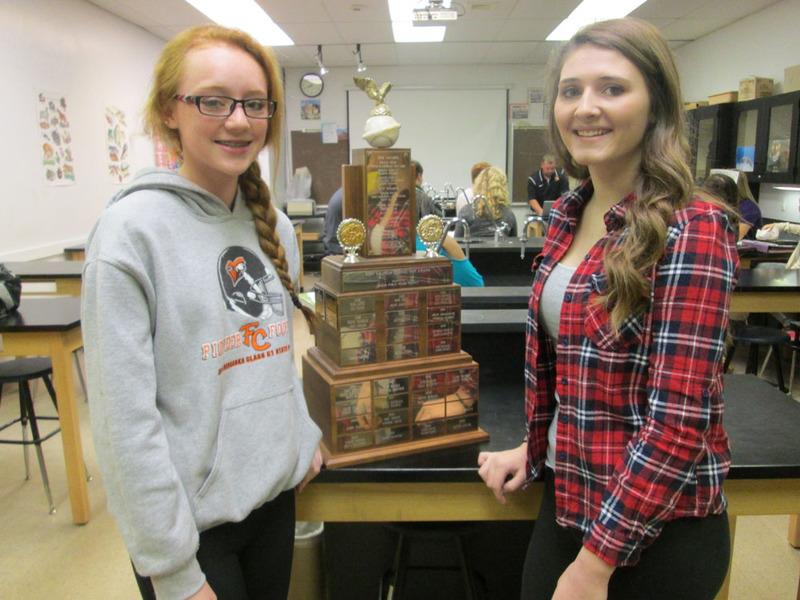 Overall Winner Nicole Swanson and Morgan McNew – Does calcium affect the strength of egg shells? This entry was posted in Uncategorized on March 18, 2015 by Jennifer Gepson. 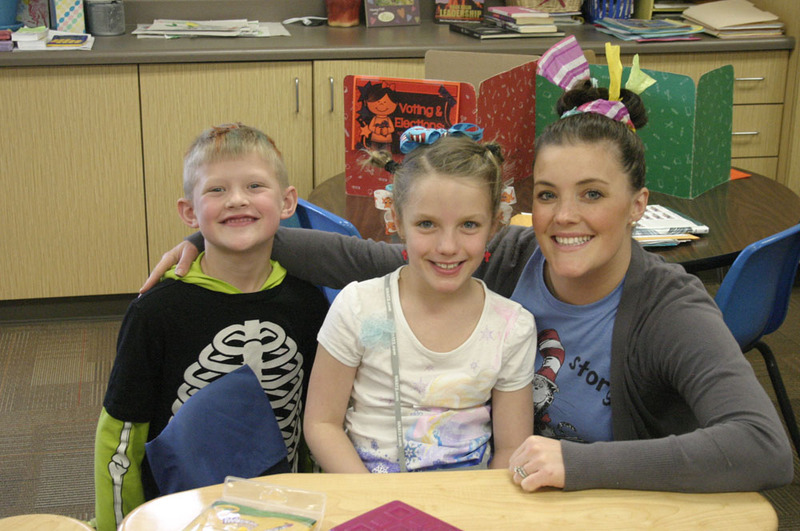 Fort Calhoun Elementary had a blast celebrating Dr. Seuss’ birthday this week. 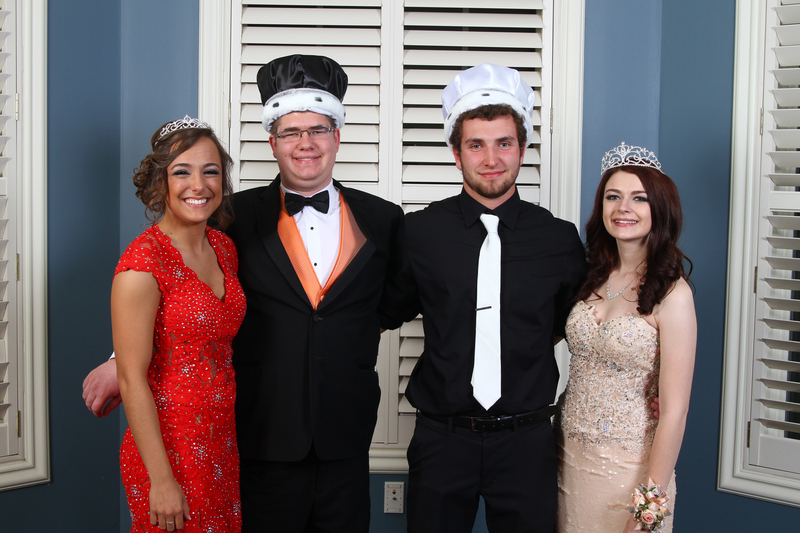 They had many different dress up themes, contests and story times. 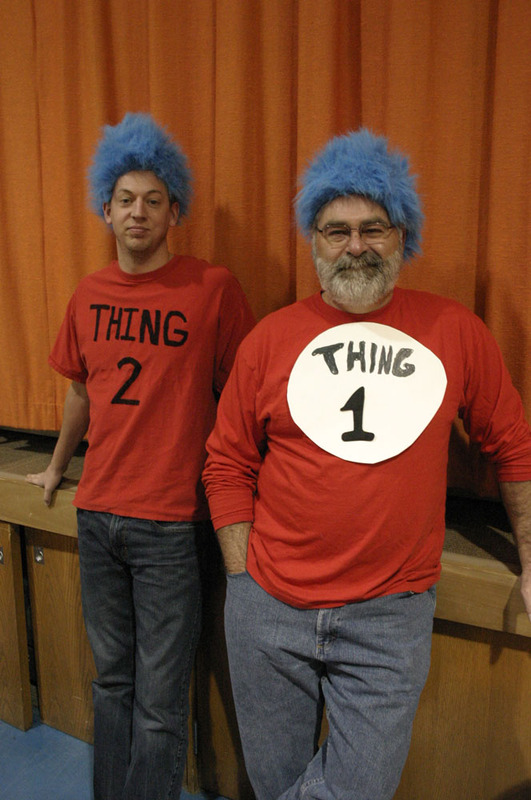 Some favorites were decorate your hair day and dress like your favorite Dr. Seuss character. 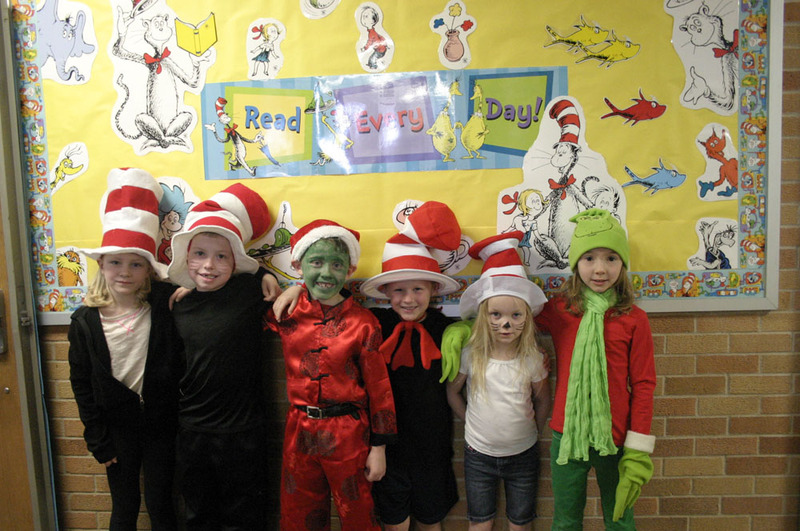 Students also earned Cat Cash for every Dr. Seuss book they read. The students made a Seuss Soup Snack to enjoy during their time reading Dr. Seuss books throughout the week. 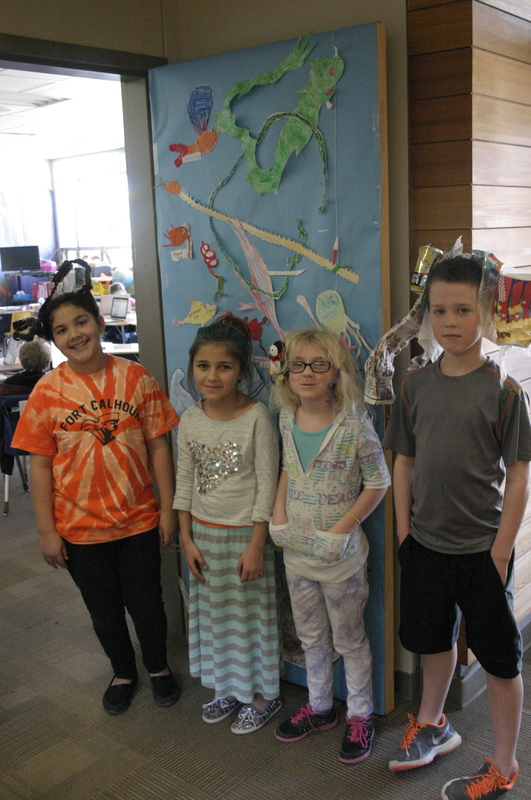 Families joined into the fun by decorating a Dr. Seuss themed sock with their student. 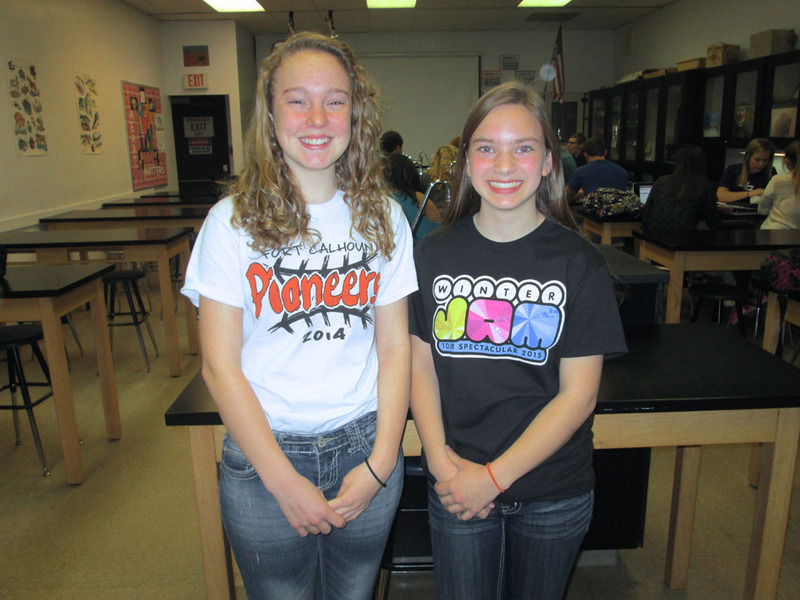 The week wrapped up with an assembly to announce contest winners. 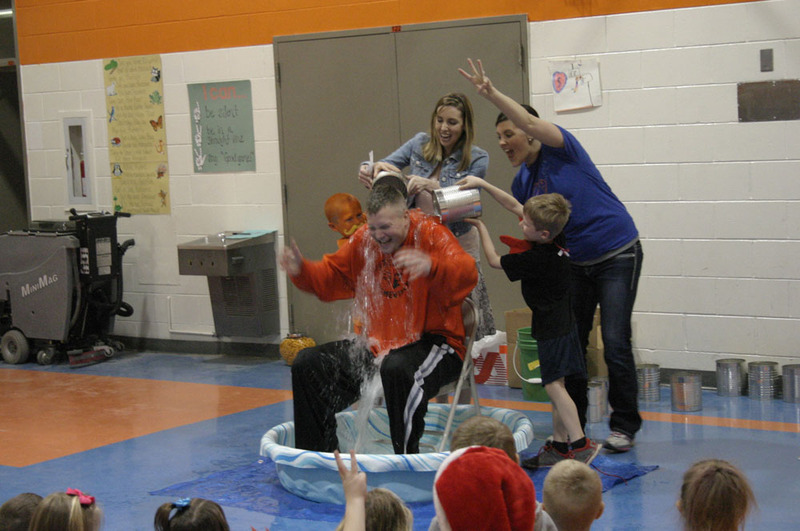 A highlight of the week was watching the students who earned the most Cat Cash, dump water on the Principal, Mr. Wagner’s, head. This entry was posted in Uncategorized on March 8, 2015 by Jennifer Gepson.